Ensure you attend the Annual Australian Education Fair, organized by Options Education Agency to meet with representatives from a number of Australian Universities to give prospective students information on a wide range of courses at both undergraduate and postgraduate level. Venue: Sheraton Lagos Hotel, Mobolaji Bank Anthony way, Ikeja, Lagos. Time: 9 am- 3 pm. 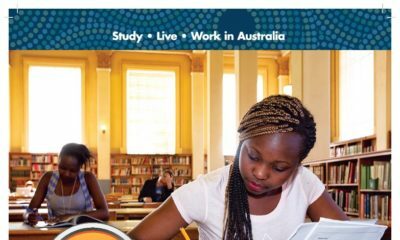 Eye-opening talk on the advantage of studying in Australia . One-on-one counselling and assessment of documents. Instant admission for applicant with complete documents. Scholarship availability for eligible candidates. 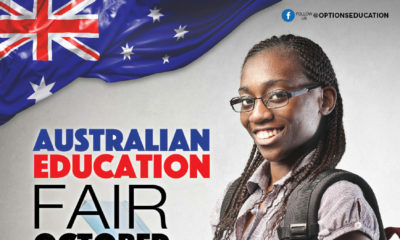 Information on Visa requirement, processing and support for further studies in Australia. Information on post study work Visa upon completion of your program. High school result (WAEC, NECO etc.). For more information call or send an sms to 09094662001, 08100001002.